Elgar, Edward, 1857-1934. Pomp and circumstance. No. 5 . Pomp and circumstance march no. 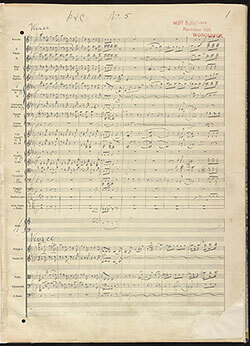 5 : autograph manuscript, 1930?